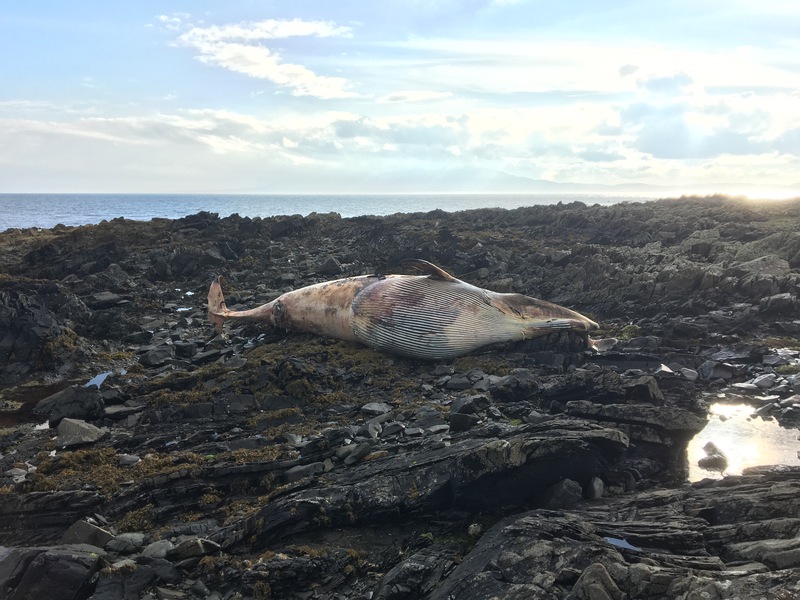 A picture of a dead whale. Because this blog is like a … never mind. It’s been a long time, hasn’t it? Not that this was deliberate on my part. I had plenty of intentions of posting new and fascinating content, but circumstance and laziness always got in the way. I do intend to be better though. Thoughts about films, books and games will be forthcoming, and there will – in a not overextended period of time – be more travel journals. (Yes, that time of the year has come around again. I have become terribly predictable in my elder years.) In the meantime, a few thoughts on some of the media I’ve been consuming lately. Mysterium: It’s a board game. Which is not something that I play enough of these days. (There’s a Tuesday evening boardgaming evening in the Black Sheep pub in Dublin that I’ve been making excuses for not going to for weeks now.) What sold me on Mysterium was the review from Shut Up and Sit Down, a site you should really be following. Boiled down to a brief description, it’s cooperative psychic Cluedo (Clue for Americans) and is as easy to play and strange as that description suggests. One player is a silent ghost who hands out vision cards to the gathered psychics; the others are those selfsame psychics, who must use those visions to solve a long-ago murder. Cue a lot of confused babbling about the exact meaning of the symbolism on the vision cards and exasperated gurning on the part of the Ghost, who doesn’t understand why they can’t figure it out. It’s a lot of fun, and most importantly you don’t need to be a boardgame veteran to play. Highly recommended. The Just City: I burned my way through Lev Grossman’s The Magicians trilogy recently, having enjoyed the TV series to start with, so normally I’d be writing about that. But I’d been looking forward to reading Jo Walton’s The Just City for so long that it sneaks in ahead of it. The high concept – the goddess Athena decides to build the theoretical state from Plato’s The Republic as an experiment – is delightful, and the execution more than lives up to it. The viewpoint characters are chosen to pick apart the assumptions of privilege and precedent at the heart of Plato’s supposed clean-slate state, and while it’s no surprise when holes are poked in it, the manner in which it happens is consistently engaging. The second book in this series is already out, and the third is coming soon, and if they live up to the opener they’ll have a happy place for themselves on my bookshelves. Stellaris: It’s been an odd year for games. This was the first of three games I was really looking forward to, and poor reviews for the latter two – No Man’s Sky and Deus Ex: Mankind Divided – have put me off splashing money on them until the next Steam sale. So in the moments between the vaguely social activities that are my forays into Lord of the Rings Online, I’ve been playing Paradox’s Stellaris, a mostly successful attempt to lift its grand strategy template into space and take the place of much-loved classics like Master of Orion. The opening stages of the game, as with all Civilization-style games, are the key draw, as you map out a galaxy for your new interstellar power (designed with plenty of freedom courtesy of the game’s engine), and the mid-game has improved with Paradox’s legendary post-launch support. As yet, none of my games have made it into the late-game phase, so I can’t really report on that (blame LotRO) but with larger patches and content expansions looming, I’m looking forward to seeing the game it becomes. Film: Honestly, nothing I’ve seen in the past few months has really floated my boat. Which is a little depressing. Overhyped offerings are the order of the day in blockbuster season, and even those films that promise something more haven’t gone anywhere. There’s been no Mad Max: Fury Road this year, and while that’s a high bar to clear, it would be nice if someone at least got close. Or made the attempt. So, that’s where I am right now. There are political thoughts (shudder) and other matters in my brain that may or may not get exposed in the three-and-a-bit weeks before I escape on another travelogue. In the meantime, my apologies for having been absent and my promise to be a little more present in the weeks and months to come.